There's no way of getting around wearing a beanie during cold weather. 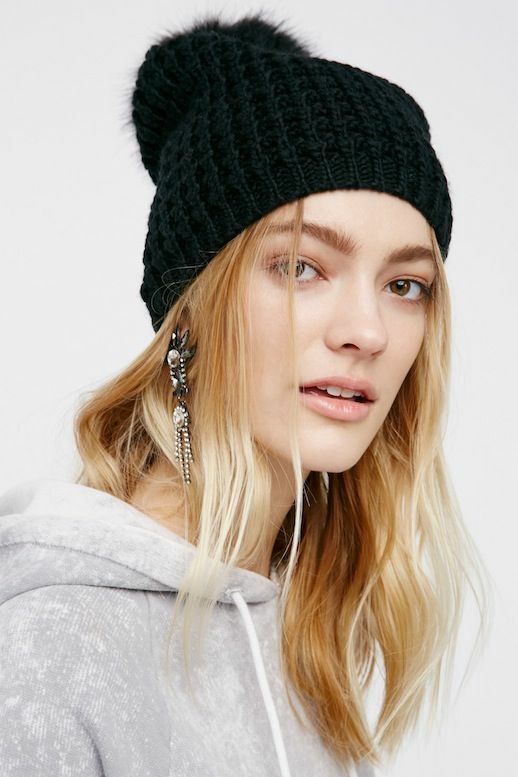 Most consider it a faux-pas to wear one in a dressier fashion, but this season beanies are considered chic no matter the winter occasion-especially pom-pom beanies. The trick is to find one that compliments your outfit and pair it with a set of statement drop earrings like we see here.